The “witch bottle*” is a counter-magical device dating to the 17th century. (We have an early description of a witch bottle from Suffolk, England, 1681.) Jane Sibley, Ph.D., (specialist in Norse folklore and runes and traditional Norse practitioner) has described these historical artifacts as similar to a reactive or protective amulet. *It is known that research is slanted toward white, colonialist and Western evidence of witch bottles. In Afro-Caribbean, Afrocentric, and indigenous American cultures, curse bottles and other uses of apotropaic amulets were already established in spiritual and religious ceremony. Witch bottles were sealed with a good watertight lid and contained a number of curious items, including sharp objects such as pins, bent nails, broken mirror shards, plus any of the following: knotted threads (often red), ashes, salt, hair, vinegar, botanicals, dirt, sundry other items, and human urine. The sharp objects in the bottle are intended to shred the malicious intent. The vinegar and ashes are supposed to disempower the ill will. Vinegar is a solvent. Knotted threads bind it up. Sounds grounds it, neutralizing the negativity. The botanicals could be any sort of magical herbs or plants, opposing a broad range of ill. If the hair is human, it probably seems the same purpose as the urine. This squat piece of glasswork with a bright gold patina over its dark olive color had been buried upside down in a small hole. Two objects were deposited under the shoulder of the bottle: a piece of a long thin bone from some medium-sized bird, possibly a partridge, and a redware rim sherd from a small black-glazed bowl. The bottle contained six round-headed pins and had been stoppered tightly with a whittled wooden plug. —Marshall J. Becker, An American Witch Bottle, “Uncanny Archaeology,” Archaeology Magazine Archive, 2009. Another Remedy to be applied when anyone is sick, which has effected many a cure where doctors could not help. –Let the sick person, without having conversed with anyone, put water in a bottle before sunrise, close it up tight, and put it immediately in some box or chest. lock it and stop up the keyhole; the key must be carried one of the pockets for three days, as nobody dare have it except the person who puts the bottle with water in the chest or box. As we just passed the Fall equinox and give thanks for the harvest, the moon passes through a time of shadow and reflection. The calendar year signals a closure and a steady march to symbolic death and renewal. I think about the elements more this time of year than any other time of year. It is a time when the self or at least for me, when I need the most protection. For some reason, our selves become more vulnerable in winter. Of Oak and Ash is concerned with the cycles of the seasons and how we manifest all unwanted and wanted energies. I created an elemental line of amulets, otherwise in historical terms known as ‘witch bottles’ thinking about how one might use the properties of plant, object, and energy to best uses. Witch bottles have their roots in folk magic history, particularly in England; the first recorded mention of a witch bottle was in the 17th century. In the US, witch bottles have been found hidden in walls or in archaeological sites, suggesting uses for healing, hexing, protection, and spell craft. 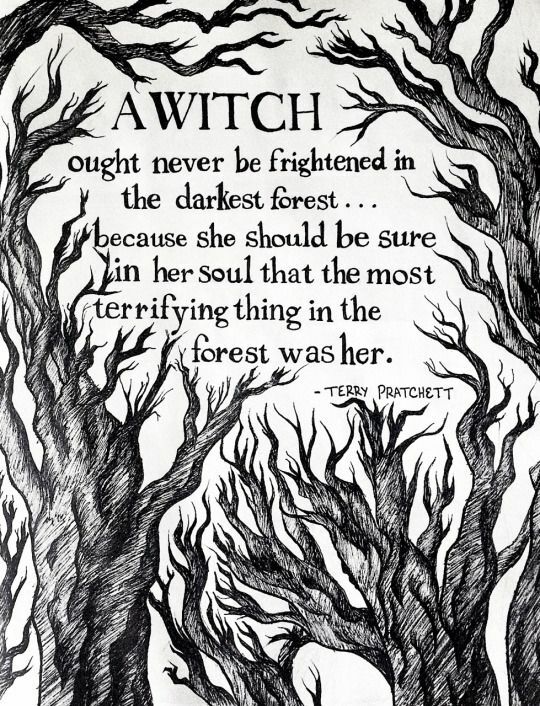 The original intent was a measure against harmful witchcraft, but mostly in mystery. The Elemental witch bottles from Of Oak and Ash are individually created bottles each with a distinctive elemental constitution. Each element corresponds with a plant and stone or object. These are not curios, nor do they have the intent to do harm and/or change the will of someone. 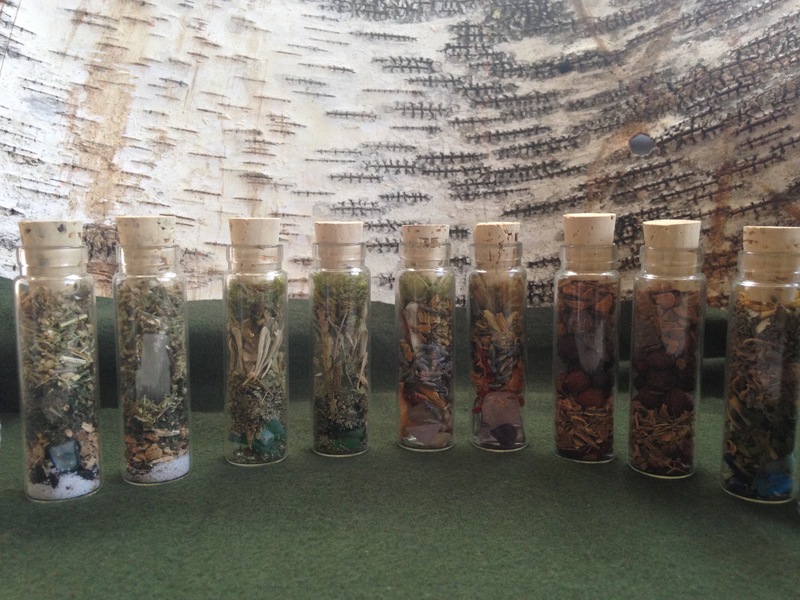 These witch bottles although created with magick, rather use herbal healing as a source. It is up to the intended person to use them to their own benefit, much like the black salt. Each bottle is unique. All the bottles have absorbed the full moon cycle light. Cork is not sealed. Bottles are about 1oz. I take great care in the process of these items, as a practicing witch for over 30 years, part of the process is in the ritual of making and the good intention for the user. All stones and beads were cleared and the process space cleared. All plants are from organic sources or ethically harvested.